Paper: A New Art-making Series! 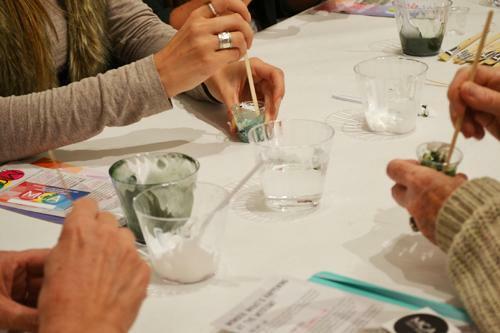 The Third Thursday Studio program invites participants to explore techniques and themes of contemporary art inspired by artists in the exhibition through conversation and hands-on experimentation. During the exhibition Beyond 2º, the Third Thursday Studio series will examine concepts of upcycling and repurposing in a variety of media. Register for Event: Paper: A New Art-making Series! Your ticket for the: Paper: A New Art-making Series!